I love chocolate. Let me rephrase that, I really love chocolate. And I'm not talking about Reese's Peanut Butter Cups (although those are really good), I'm talking about straight up chocolate yo. Like a bar of chocolate smeared with chocolate icing and sprinkled with chocolate chips. Okay maybe that's a bit much. 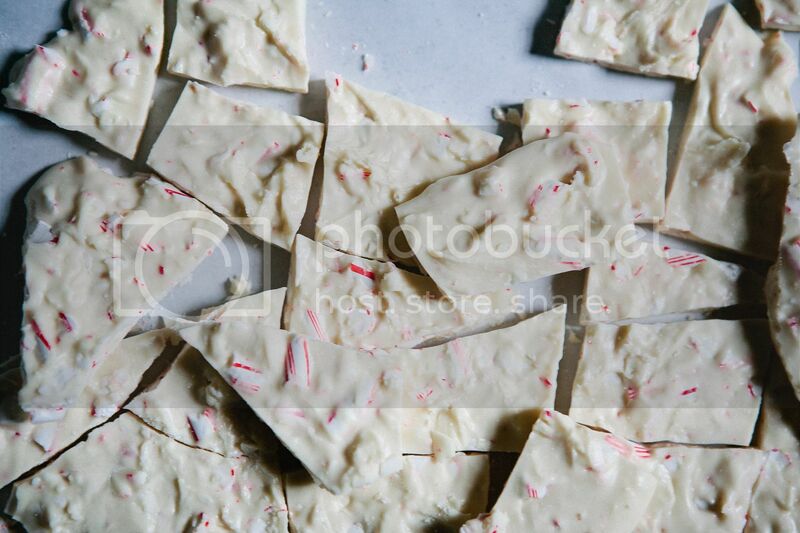 White chocolate is definitely in my top ten favorite things of life. 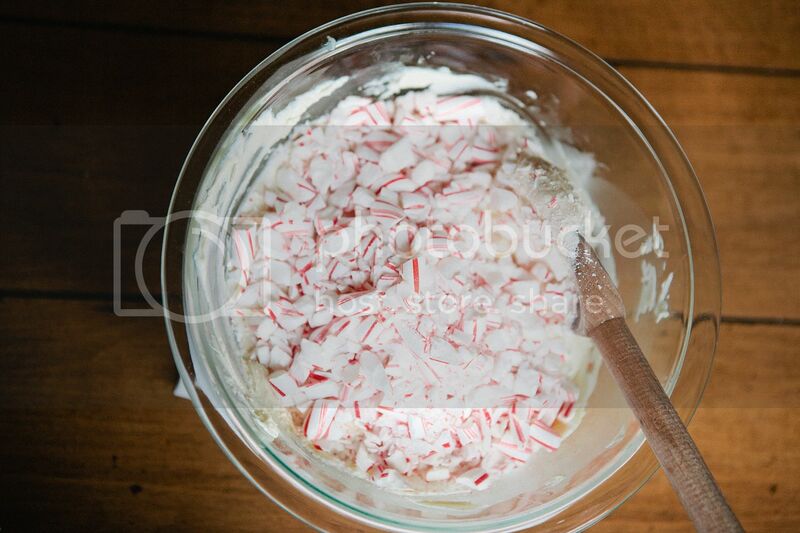 And I love making peppermint bark with it. Wow. Melted chocolate is my favorite. Have I said those words enough? Chocolate? Favorite? Okay. 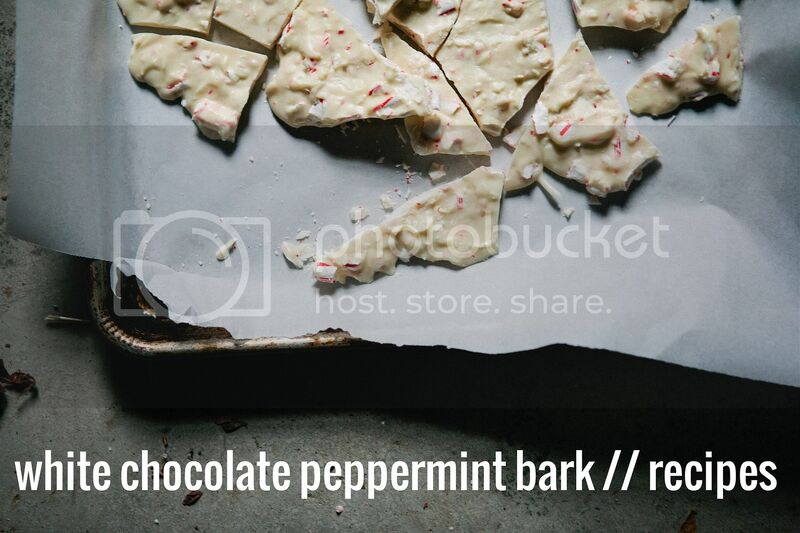 If you love chocolate as much as me, or want to give easy and fun gifts to people, make this. It's quick, oh so lovely, and really pretty. It even made my garage floor look nice! Photographers need good light, what can I say. 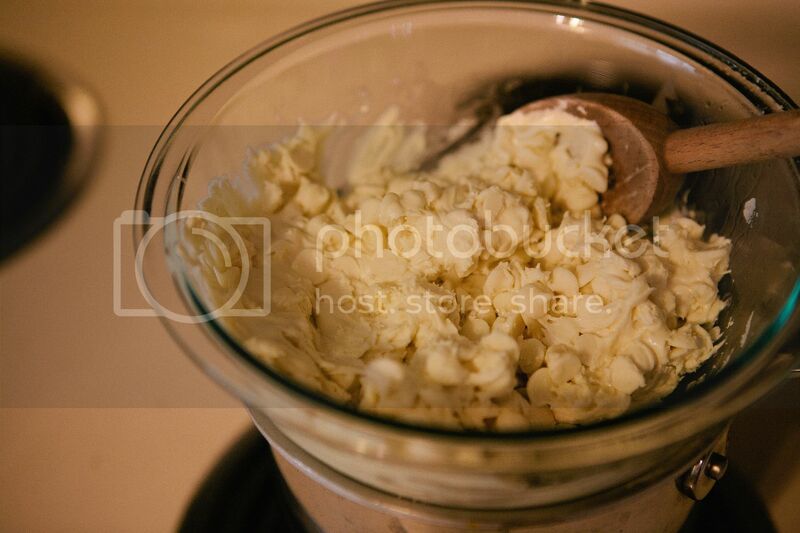 Recipe is at the bottom, for now, pictures and captions. YES. 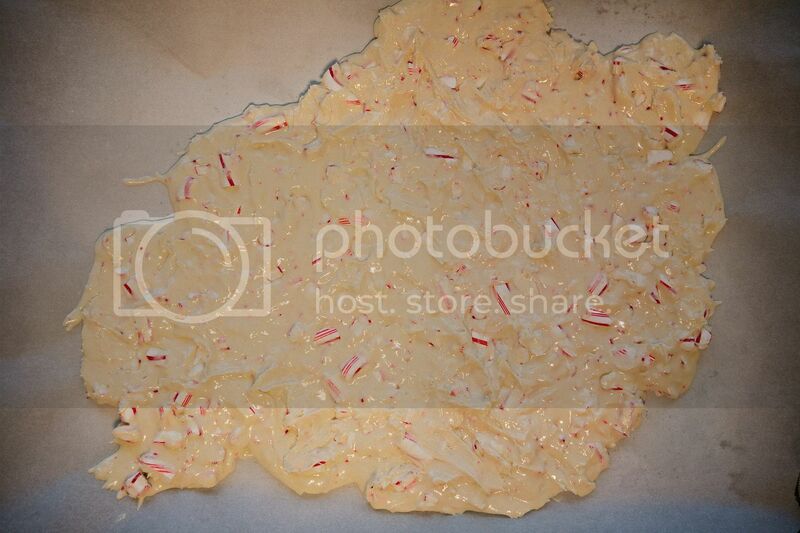 I used 12 candy canes + a bag of Ghiradelli White Chocolate Chips. Only the best. Let's give the chocolate its close up mmkay? DELISH. 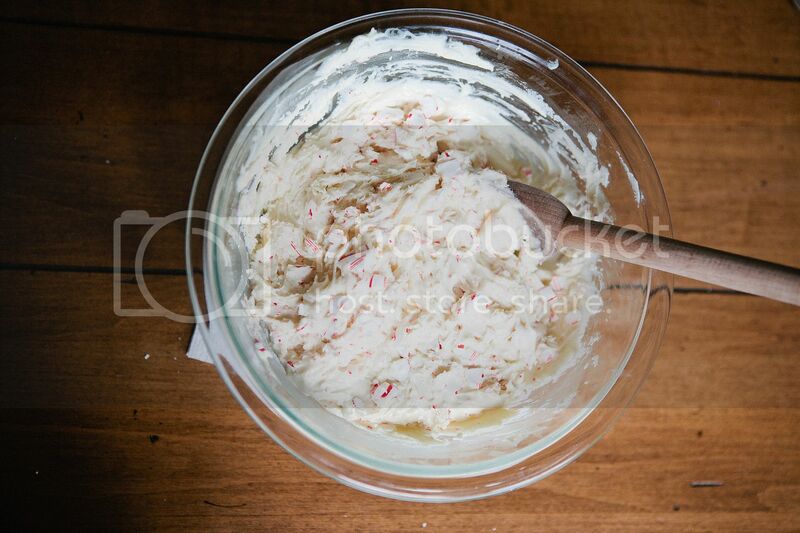 This is after you crush the candy canes with a wooden spoon. It's actually quite therapeutic. 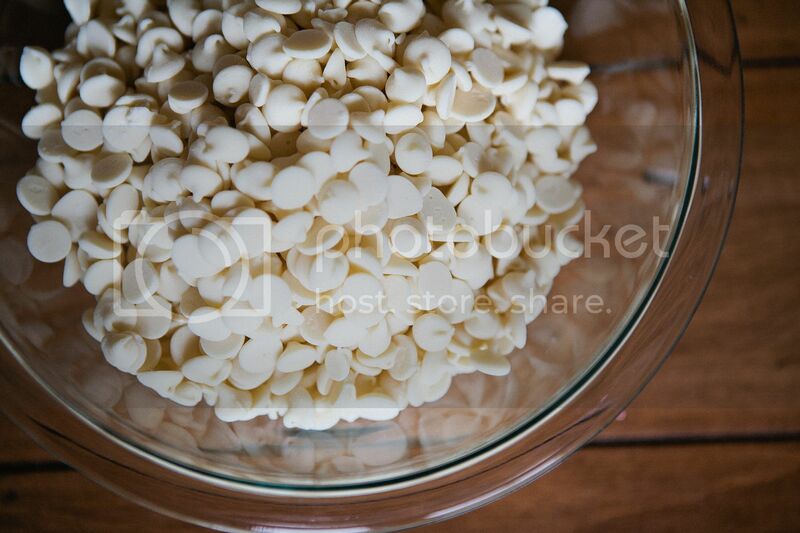 Take your bowl of chocolate chips and set it on top of a saucepan with some water in it. 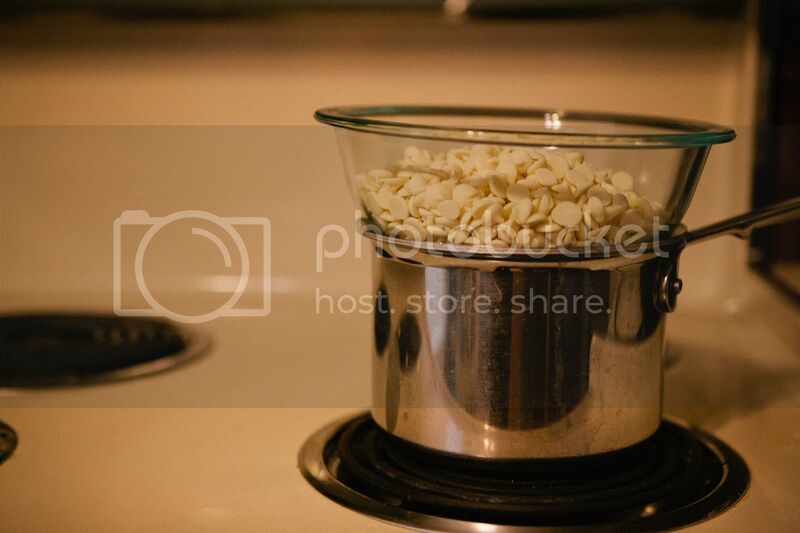 Let the water boil and stir the chips. They will get super goopy (best word I can think of) and once a lot of steam starts to come through the crack between the bowl and the pan, take the bowl off the heat and stir until the chips are fully melted. 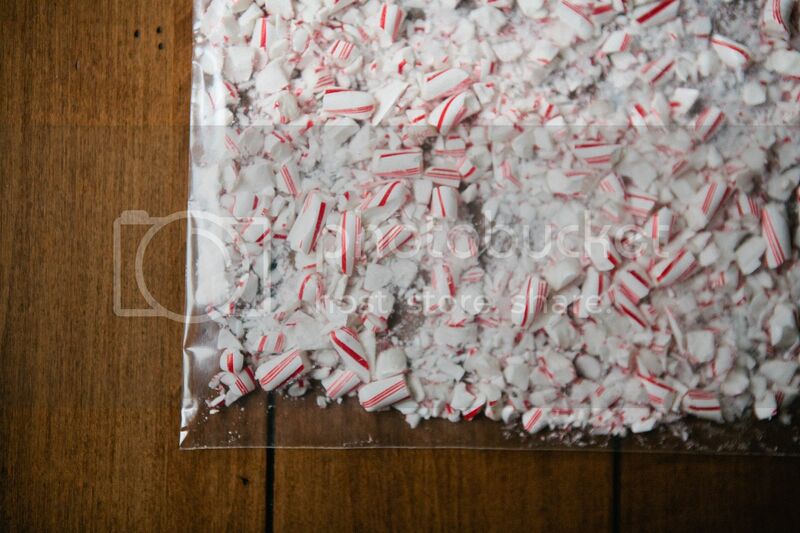 Dump in your crushed candy canes. Horrible picture, I'm sorry. I don't know why I didn't move it over to the window..? ANYWAY. 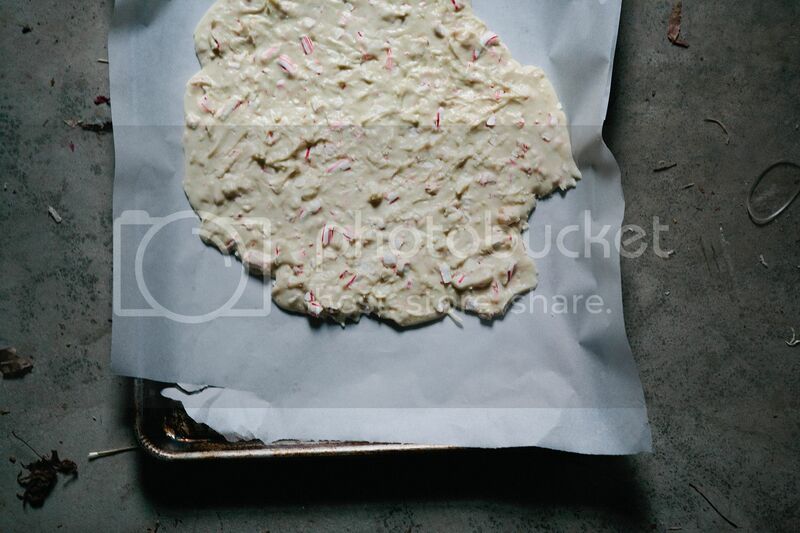 Spread it out on to a cookie sheet covered in parchment paper. 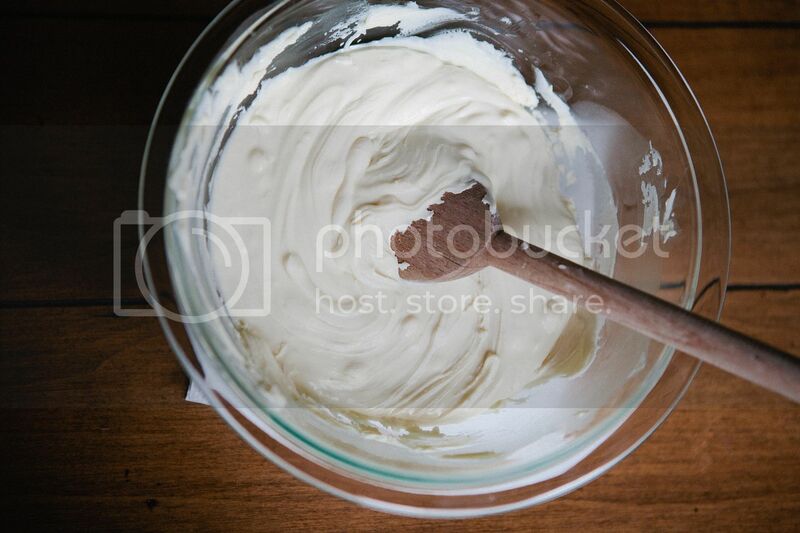 I rubbed my hands with a bit of coconut oil and spread it around that way. It worked. And then refrigerate for 45 minutes, break into pieces, and enjoy. So so delicious. If you make it, let me know! Post your picture on Instagram or Twitter using the hashtag #24daysofchristmascheer. 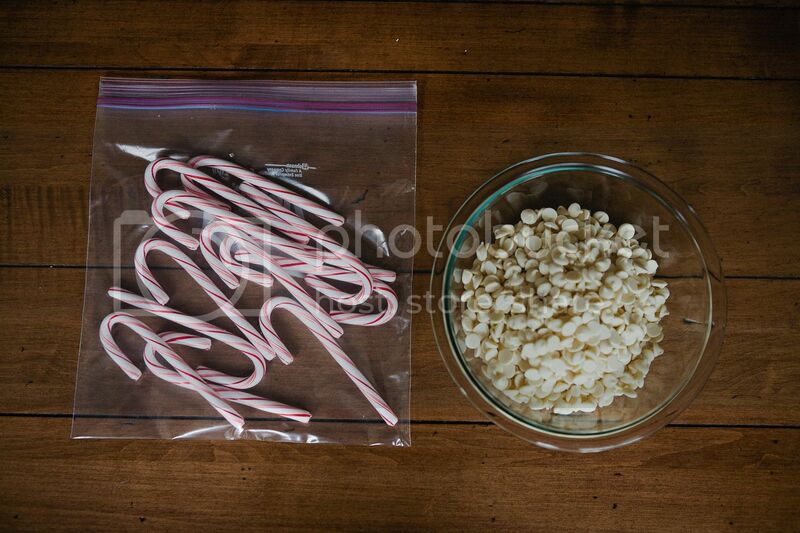 really want to make this SOON. this looks so good and so easy!! :) thanks for sharing! "it's actually quite therapeutic." wow, haha so true! i love you. so, i'll definitely be doing this. like tomorrow. and maybe next weekend. and maybe the day after that. like, ALL THE TIME. haha, i just love you ellie! this looks so YUMMY!